Signing your comments on talk and discussion pages is considered good etiquette, serving to identify the author of a comment. Any post to User talk, Article talk, or other discussion page should be signed. Article contributions should not be signed. Signing your comments is easy: simply type four tildes (~~~~) after your post (do not reply with three tildes as this will result in a missing time stamp). This will automatically translate into your signature when you save the page. Alternately, you can click the "your signature with a timestamp" button on the editing toolbar. In both cases, the result is the same. By default, a user's signature will link back to their user page and user talk page. If a user desires, the signature can be customized. Users can customize their signature in their preferences; type the signature you want to use in the "Signature" field, to replace your username with the desired nickname when signing (remember to keep this signature a reflection of your username, to avoid confusion with other users). 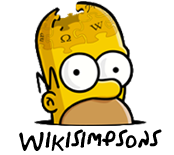 For slightly more advanced users, wikicoding can be included into the signature to further personalize it. In this case, be sure to check the "Treat signature as wikitext" box under the Nickname field in your preferences (otherwise, the coding won't work). You'll need to manually link to your user page in this case. For example, let's say User:Smiley12 wants to add a little color to his signature. You must display your user name in your signature as well as a link to your user page. (A link to your talk page is also preferred but not necessary). One small image is allowed in your signature (20px maximum). Signatures must not be overly long or high. must also contain your user name in it (or your initials of your user name is acceptable). If you break any of these rules, an admin can tell you to change it. Failure to do so may result in a block. Modified on August 27, 2014, at 18:15.